on a 'Big Night Out' themed party to celebrate the official launch of Volkswagen UK's largest state-of-the-art facility in the newly regenerated docklands, close to Swansea City centre. Guests enjoyed a packed programme of entertainment, compered by Welsh rugby legend Ieuan Evans. Attractions included well-known opera singer and star of the 'Go Compare' TV adverts, Wynne Evans, special guest appearances from Jordi Amat, Alvaro Vazquez, Alejandro Pozuelo from Swansea City Football Club, Welsh Rugby International Ryan Jones as well as live music and dance performances. Artist Ian Cook wowed guests with his unique artwork using remote-controlled cars to create a one-off piece immortalising the Golf GTI which will be showcased in the Swansea showroom and serve as a lasting memento of the opening. "The evening was a fantastic way of thanking everyone for their hard work and patience while the new showroom was built. It's taken almost three years of planning and construction but it has definitely been worth the wait. I'm delighted that so many people joined us to celebrate our 'Big Night Out' and hope that they thoroughly enjoyed the evening and the chance to get a sneak preview of the new facilities here on Langdon Road," said Jeremy Phillips, Brand Manager at Sinclair Volkswagen in Swansea. "Throughout the construction programme, our aim has been to improve and enhance our customers' retail experience. 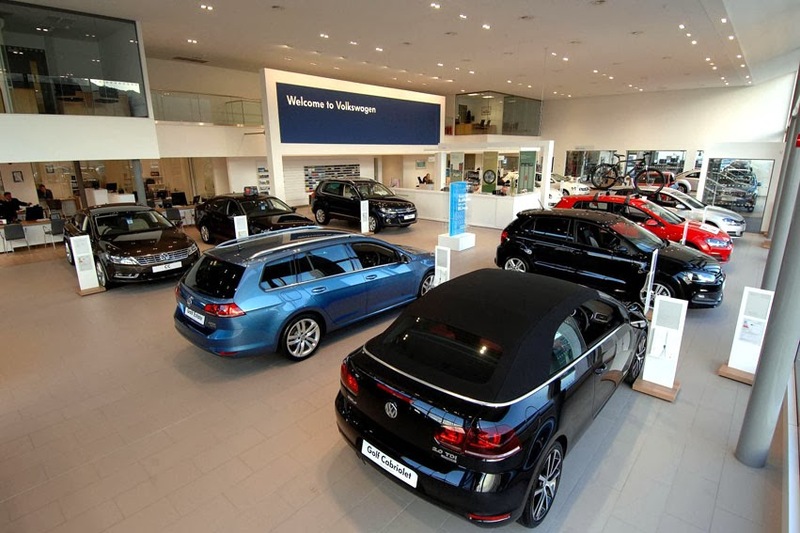 Operating from a truly world -lass retail outlet, it is now the intention of every member of the Sinclair Volkswagen Swansea team to deliver the levels of service that match our working environment," added Jeremy. The conceptual new building not only supports the brand's new look, but also offers customers a contemporary shopping environment that is light, airy and relaxing. Sinclair Volkswagen Swansea is part of the Sinclair Group which has Volkswagen sites in Newport, Cardiff, Bridgend, Port Talbot, Swansea and Neyland.